India is currently in the midst of finalising the current Goods and Services Tax (GST) reform, expected to come into force on 1 July 2017. The current GST rate stands at 14% for financial services, which includes insurance premiums. The proposed amended rate will increase this by 3%. Additionally, two cesses are applied to insurance premiums in India. The Swachh Bharat Cess of 0.5% was applied from 15 November 2015 whilst the more recent Krishi Kalyan Cess of the same amount was introduced from 1 June 2016. This brings the current accumulative total to 15%, which is also applied to intermediary commissions. The long awaited GST reform will encourage a simplified and unified taxation system, reducing logistical costs and double taxation. Whilst there have been several postponements, Prime Minister Modi today announced that the 1 July rollout date would mark a "turning point" in the country's economy and made note that focus would be on cyber security surrounding the IT systems concerned with GST. 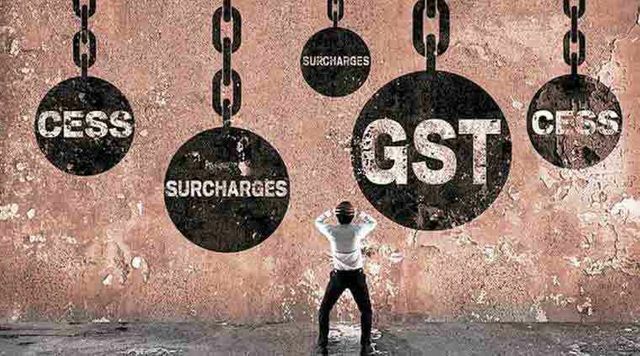 In what could be the last meeting before the rollout of the indirect tax regime, the Goods and Services Tax (GST) Council will meet for the fourteenth time on Thursday and Friday in Srinagar to decide fitment of various goods and services in the multi-tier tax structure of 5, 12, 18, 28 per cent, with additional cess over and above 28 per cent for demerit and luxury goods.